The primary area of practice at Wetterer & Clare is residential and commercial closings. The firm has represented both lenders and individuals buying and selling real estate throughout Kentucky. Given the speed and complexity with which real estate transactions happen, it is key to have an experienced legal team that can move quickly on your behalf. From small home purchases to multi-million dollar commercial and residential sales, Wetterer & Clare handles every type of transaction. To further serve our clients, we provide a full range of title insurance services through Kentucky Title Services. We can write lender’s and owner’s title insurance policies for both residential and commercial closings. Find out what title insurance is and why is it important. The attorneys at Wetterer & Clare have a great deal of experience in sophisticated real estate transactions. 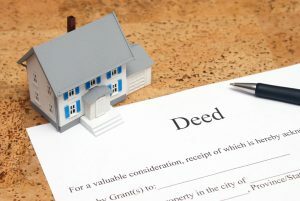 The firm possess the negotiation skills and understanding of the real estate law necessary to serve the needs of any party in any real estate transaction.